Cecile Raley Designs Blog – Tagged "mint garnet"
As you all know, working with colored gems is my specialty. I love figuring out which colors go together, come up with crazy combos, and matching them to the right metal. And I often get the following response: "I would NEVER have come up with that combo." Why have Mandarin Garnet, Tsavorite Garnet, and Mahenge Spinel Become so Expensive? 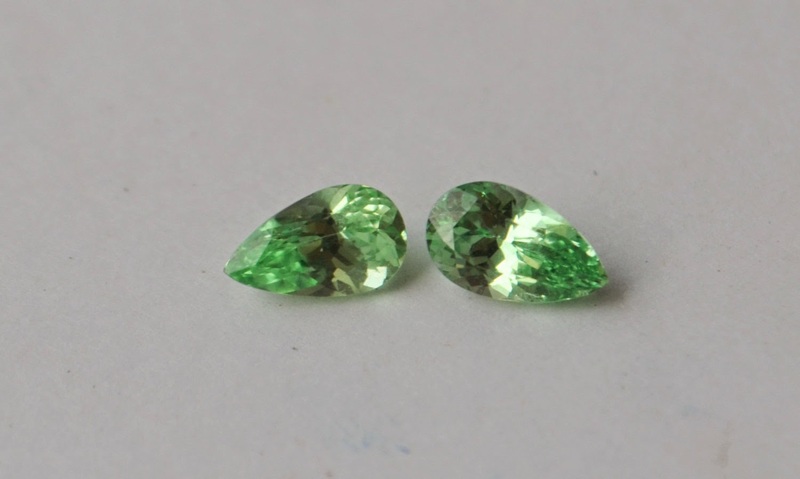 A couple of months ago, I saw a discussion on PriceScope about availability of Tsavorite and Mint Garnet, Mandarin and Spessartite Garnet, as well as Mahenge Spinel, all of which come from the same regions in Tanzania and Kenya. As a vendor, I can’t post on PS – which is a good idea by the way – but the question was an interesting one so I want to post my two cents here on my blog. With my semi-annual 15% sale coming up on July 13th, I thought I’d assemble a shortlist of my own favorite items, and why I’d recommend those for purchase. I’m going to try to limit myself to three pieces from each of my favorite sections.